LD-CPBR - Black Raspberry Creme Palm Wax Candles - 3x3", 3x4", 3x6", Votives. 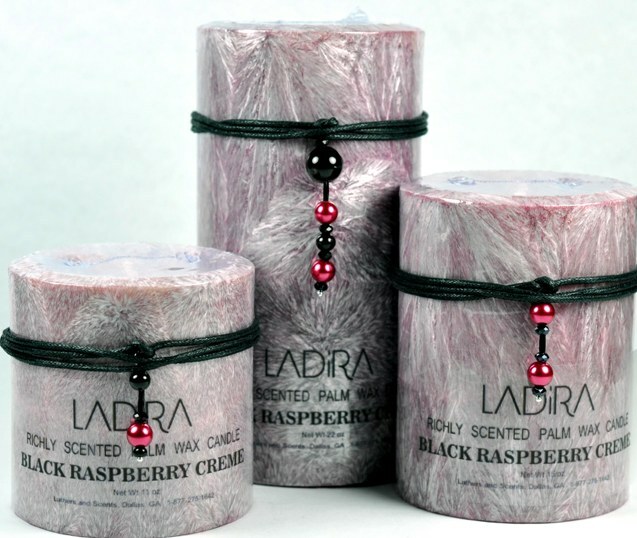 Black Raspberry Creme is a rich, delicious blend of smooth vanilla cream and bursts of luscious sun-ripened black raspberries. LaDira has a $100 minimum and cannot be combined with Light Stones or other items to reach either minimum.